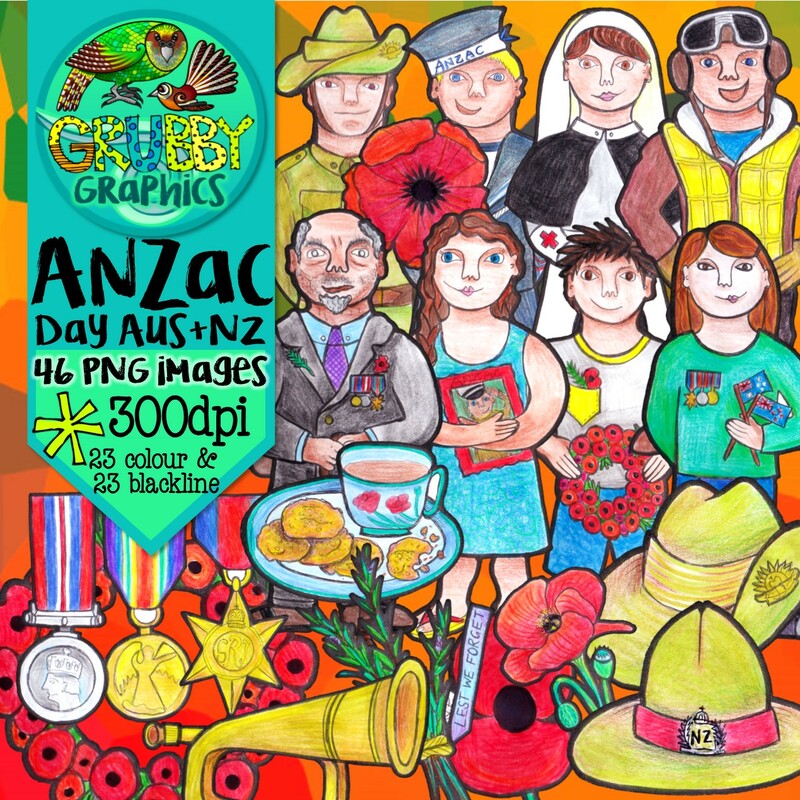 • What is Anzac day, and what do the letters stand for? • Mapping challenge – can you locate and mark Australia, New Zealand and Turkey on the map? • Yum! Information about the history of Anzac biscuits – plus some myth busting about where and when they were eaten! 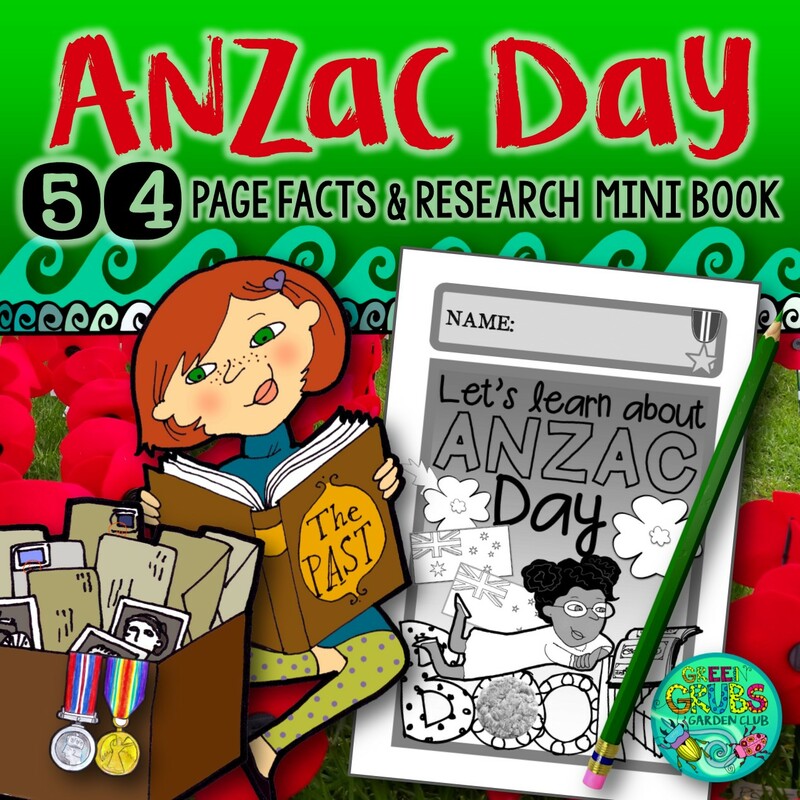 • Who invented the Anzac biscuit? Australia or New Zealand? • Interview a returned service man or woman. 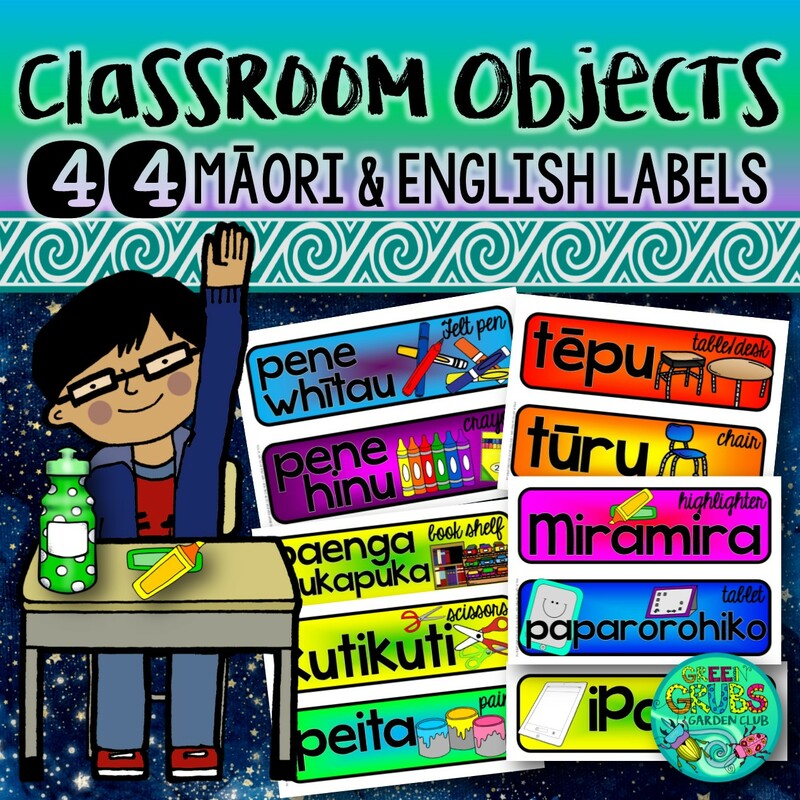 What adjectives would they use to describe their experiences overseas? 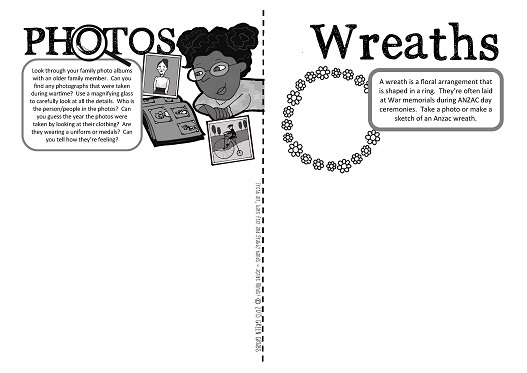 • What is a wreath? • What do RSA and RSL stand for? Why are they so important to returned servicemen and women? • What do these words mean? Lest (lest we forget) Cenotaph, Armistice day etc. Use a dictionary to find out their meanings. • Does your family have any wartime photos? 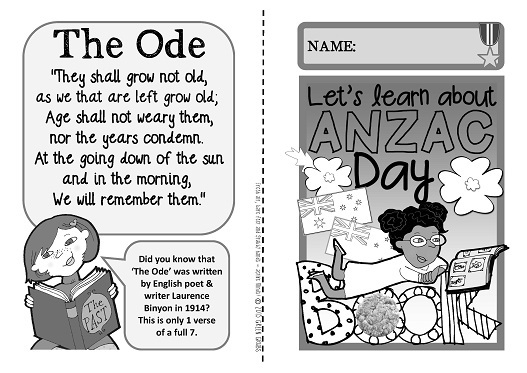 • Anzac date maths – How many years away is the 200th anniversary? How old will you be when the 150th anniversary is occurring etc. • What/who is ‘Digger’ and what qualities do they possess? 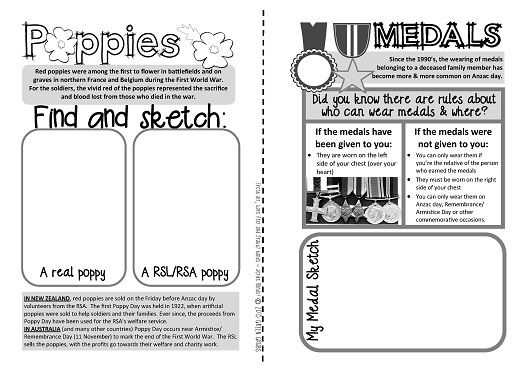 • Anzac day sports – a modern tradition! 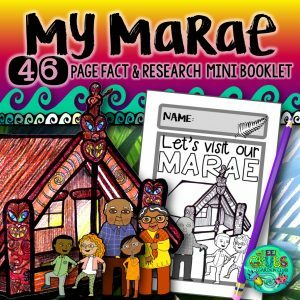 • “My Ancestor” fact-file – what was their name, when were they born, what’s their story…..
• AUS & NZ – Anzacs together! What are the differences and similarities in the way we mark Anzac day? • Things to think about…….Sometimes people who have served overseas don’t like to talk about their experiences when they return home. Why do you think that is? How could you best record the memories and experiences of someone special in your family so that others can learn from them etc. • Why do Australia and New Zealand both have the Union jack on their flags and what does this have to do with Anzac day? 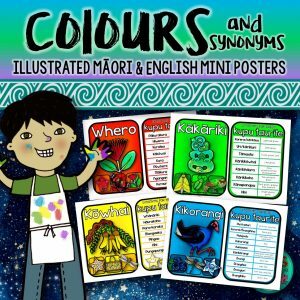 Colour the flags.